We do not make any attempt to find out the identities of those visiting this website. We will not associate any data gathered from this site with any personally identifying information from any source. If we do want to collect personally identifiable information through our website, we will be up front about this. We will make it clear when we collect personal information and will explain what we intend to do with it. "Thank you once again for all your fantastic teaching which got me through my pass plus and passing my test. "Andy taught two of our children to drive. 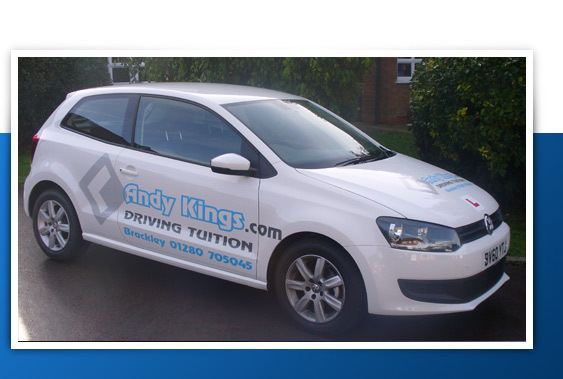 Thanks to Andy's professional tuition, patience and attention to detail both of them passed first time! Thanks for a great local service. "Initially I felt very nervous before learning to drive but during my lessons with Andy I always felt very encouraged to believe in myself. I gained confidence and went onto pass my test quite easily." "After lessons with Andy I always went home feeling like i had made progress. He has always been very professional and supportive in his approach to teaching, making it a pleasure to learn with him. His optimistic attitude got me through my test and made me find the confidence to pass. So thankyou Andy! I would definately recommend him to anyone"
"Andy was very professional, and i felt i progressed steadily after each lesson. His teaching method is precise and allows for progressive, safe development from beginner to the day of your test. And i managed to pass first time thanks to his tuition and feel confident about my own driving ability. " "Thanks for all your time and patience. I'll be back for Pass Plus before you know it! " "May I take this opportunity to say thank you for getting Louise through her test the first time, it was a great achievement for her. " Letter from a grateful parent! "Thank you for putting up with me and getting me through my driving test "
"Thank you so much you've been an amazing teacher! " "Thanks for being a great driving instructor "
"Thank you for helping me with my driving "